Well, you gotta start somewhere. Might as well start at the beginning. This is where we got the job, so this is the beginning. That job? Well, either bounty hunting or saving the galaxy from a tyrannical regime. 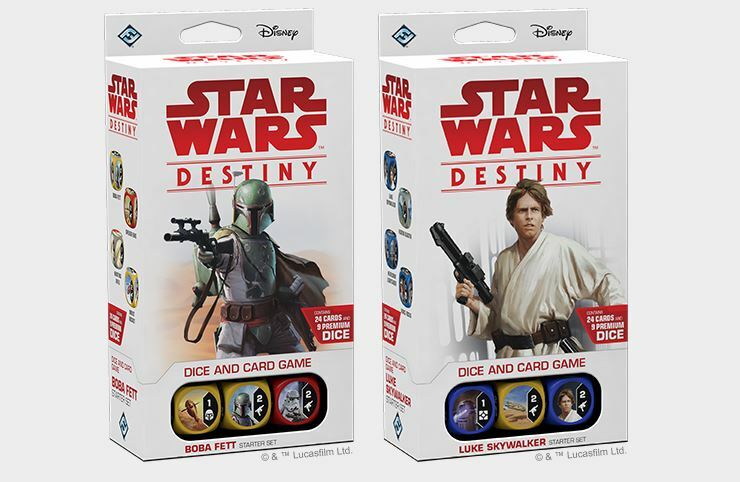 Take your pick, depending on which of the new Star Wars: Destiny starter sets you want to pick up. They have one that features famed hunter Boba Fett, while the other focuses on everyone's favorite moister farmboy, Luke Skywalker. Take a look at what you'll be getting in this preview. Legacies marks a bold new direction for Star Wars™: Destiny.. It introduces brand-new mechanics like Indirect Damage and Plot Cards, while expanding on the existing options for all colors and factions. And the booster packs aren't the only thing that's changing—alongside the Legacies booster packs, you'll find two new starter sets that feature some of the most recognizable characters in the Star Wars galaxy. Today, we’re previewing the Luke Skywalker Starter Set and the Boba Fett Starter Set that will be released alongside Legacies boosters this winter! These starter sets will be in print for one year and mark the perfect entry point into Star Wars: Destiny. Whether you want to be a ruthless bounty hunter or a hero of the rebellion, there's no better place to take the first step into the larger world of Star Wars: Destiny!